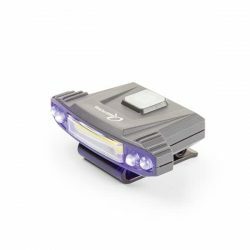 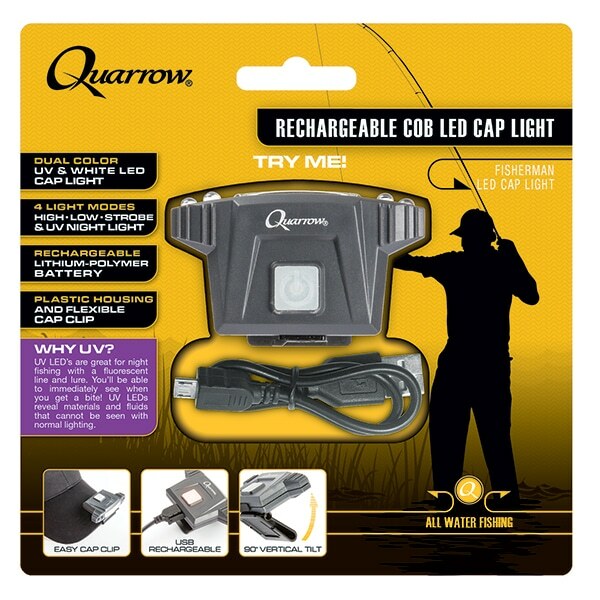 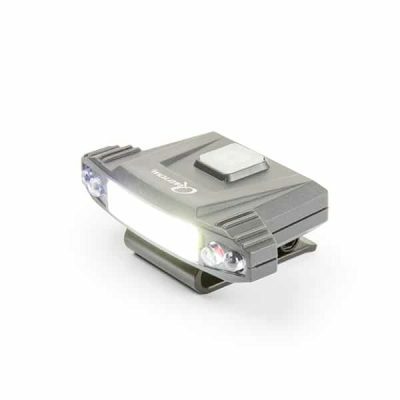 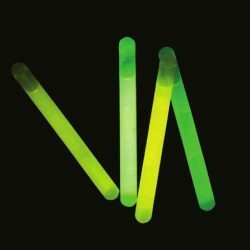 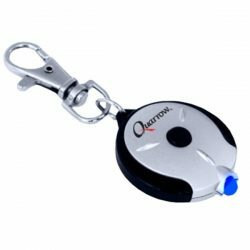 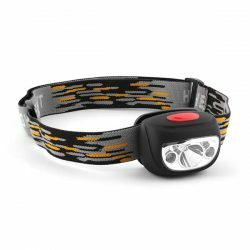 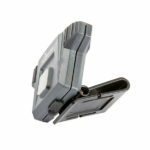 The Quarrow® Rechargeable C•O•B LED Cap Light has 4 UV LEDs (395-405nm), ideal for night fishing. 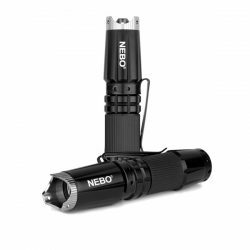 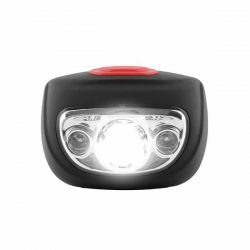 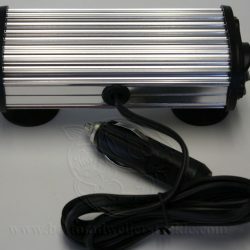 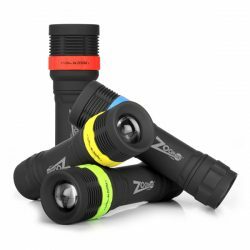 Its high-power C•O•B LED outputs 100 lumens of intense white light in high, low and strobe. 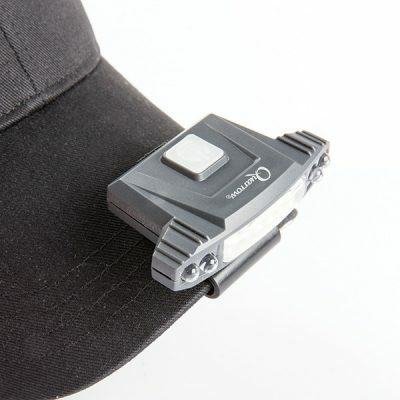 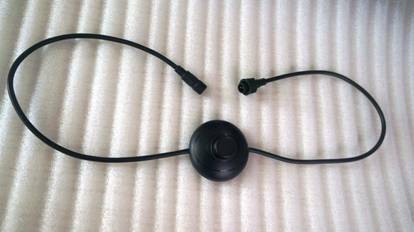 The flexible 90º tilting head allows this cap light to direct hands-free light wherever you need it.